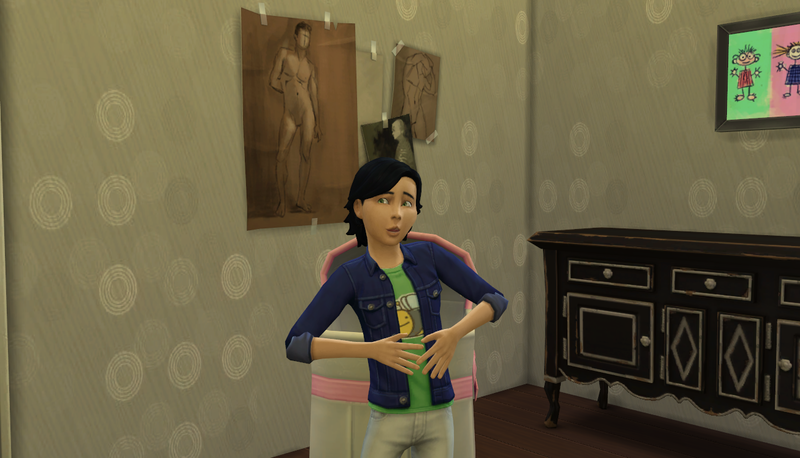 Dani moves in and has a baby, forcing Tachi into the roll of gen 6 heir. Tachi asked Dani to move in and she really fits into the household. She came with a lovely job as a level 7 secret agent. Whoa. Of course she didn’t have the proper skills (how?!) but she was ready to level up and did the next time she went to work. She’s beautiful and talented. Good work, Tachi. 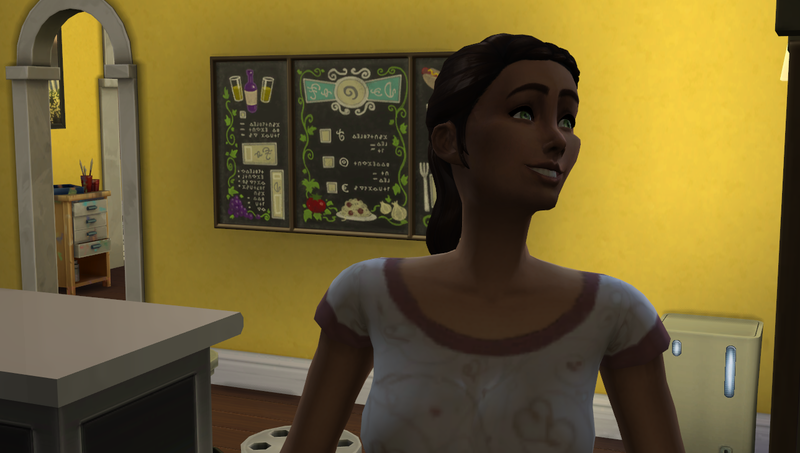 She had their baby shortly after and they had a girl! They named her Nadeshiko and her eyes are light green. I don’t know if this makes Tachi the next heir? Technically, I suppose so. 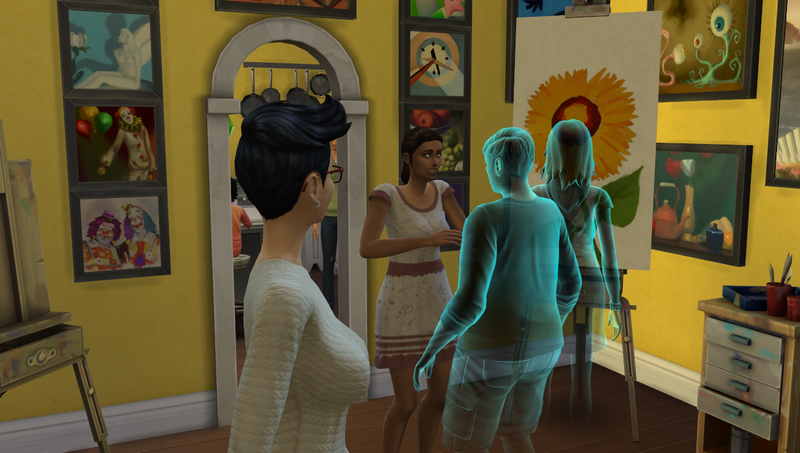 Aya is closer to her mother right now but I really like going back and forth with my heir’s gender. Screw the rules! tosses rulebook out So I forced an heir? Oh well! Moving right along, Rei popped in the way when I was zooming around and WHOA, lovely shot! Miss elder ghost looking pretty. 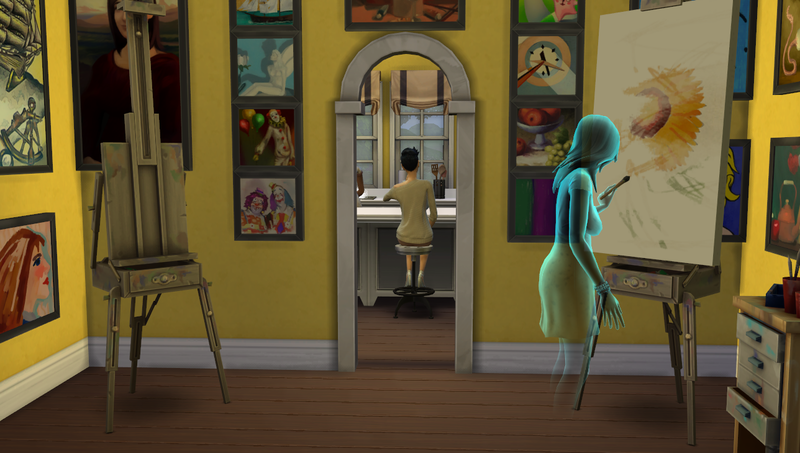 After leaving the kitchen, Rei decided to stay and paint a picture to add to our gallery. I love when they leave things for the family to see later. It turned out pretty nice. 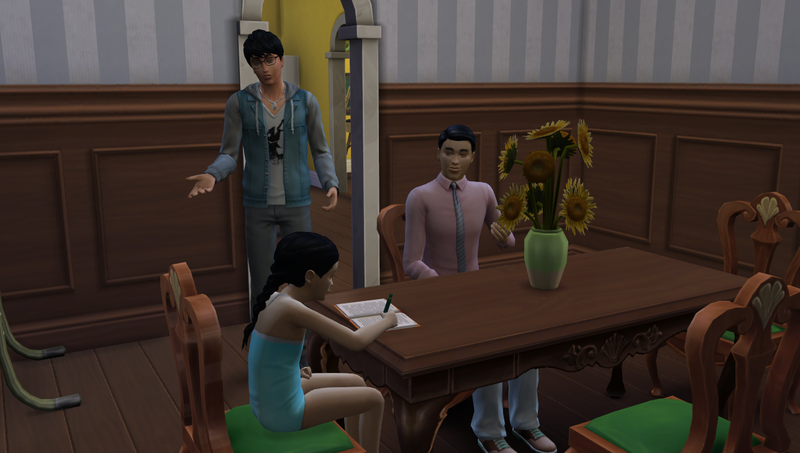 At the same time, Ryu attempted to entertain Dani but she was side-eyeing Michiru for some reason. 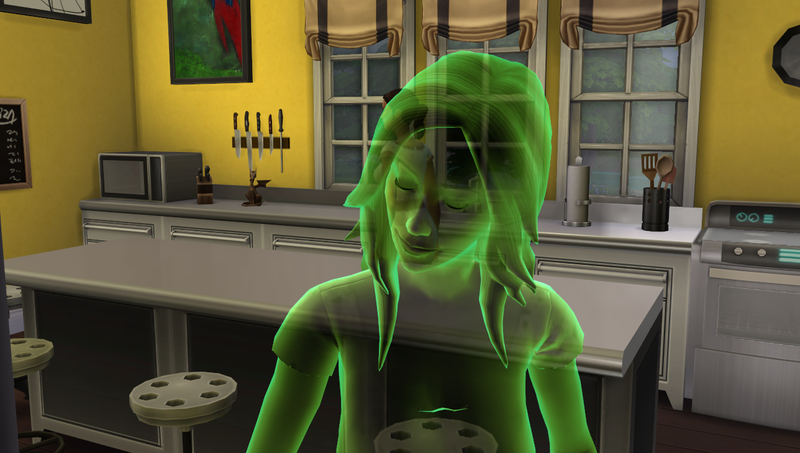 I guess she’s not used to the ghosts yet. Just give it time, Dani. Accept it. Annnywayyyy… Gen seven, at your service! Nadeshiko aged up STARVING so I rushed her downstairs and to the kitchen where she stuffed her (adorable) face. 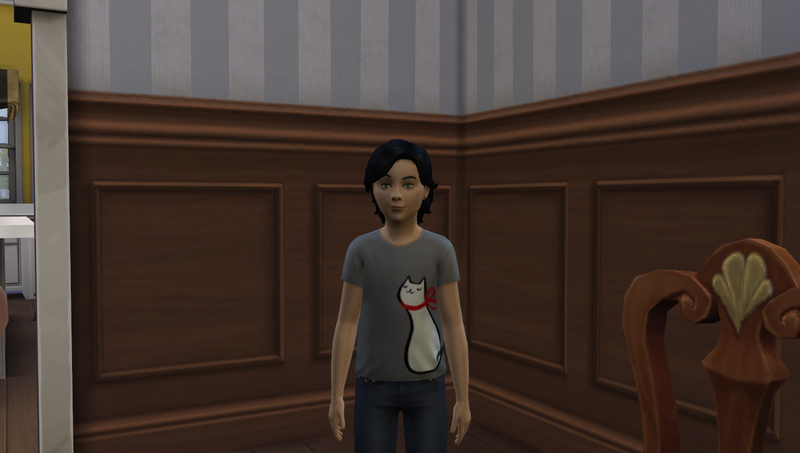 I think that this hair might be a gender neutral mod I downloaded? I don’t remember if that style is just male? I gave her a wardrobe makeover. She’s still a little cutie. She’s got her mom’s little smirk. 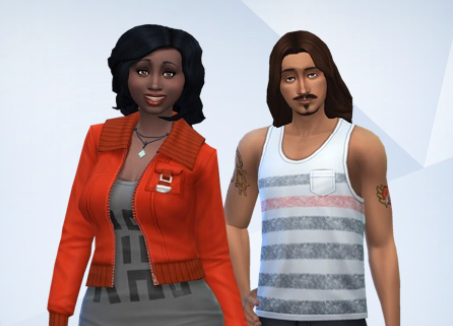 That guy is Tristan and he’s a neighbor who is friends with Dani for some reason. No word yet from Hiro and Aubrey on their incoming baby. The family might have to visit soon and check things out.